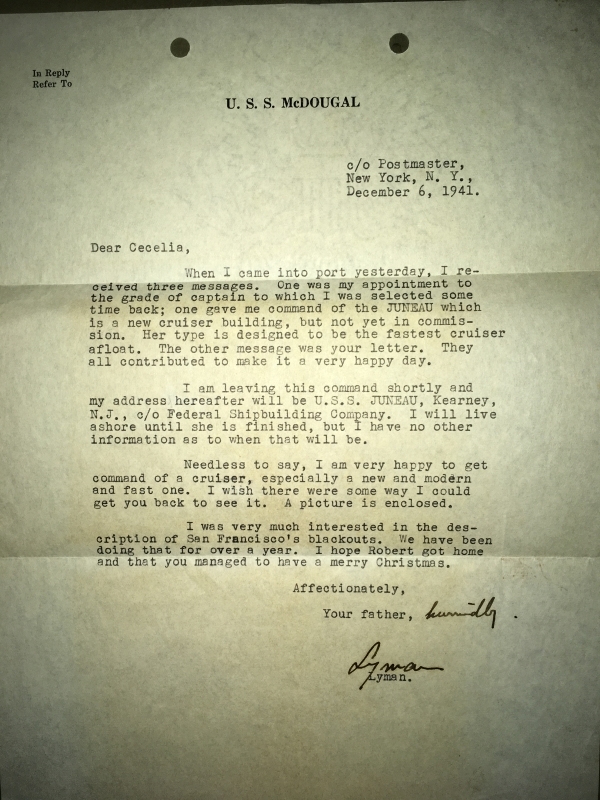 Letter from Lyman K. Swenson to daughter Cecelia telling her of his appointment to the USS Juneau. Note, letter is dated the day before Pearl Harbor day. Capt. 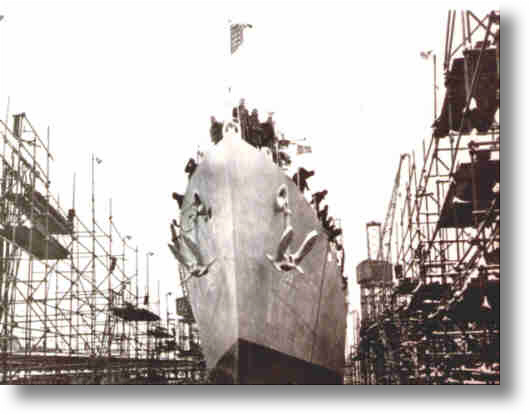 Swenson assumed command of the USS Juneau which was subsequently sank on 13 November 1942. Capt. 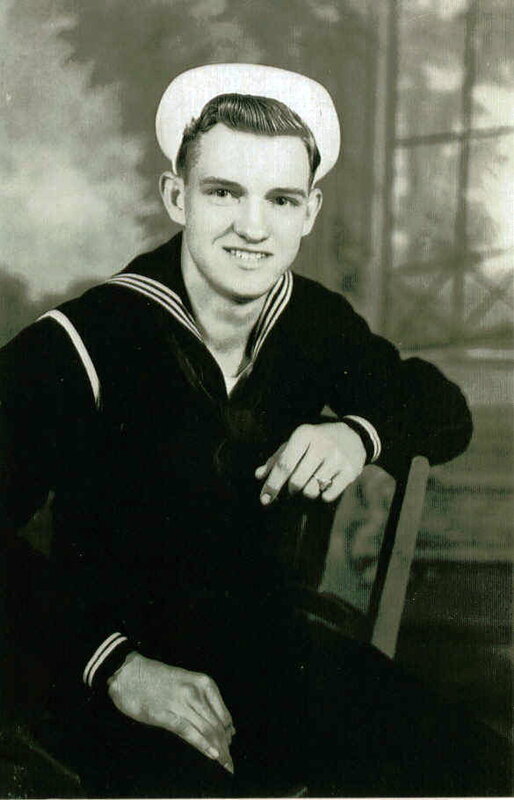 Swenson and many others, including the Sullivan brothers were lost. Invitation to Cecelia Swenson to christen the USS Lyman K. Swenson. 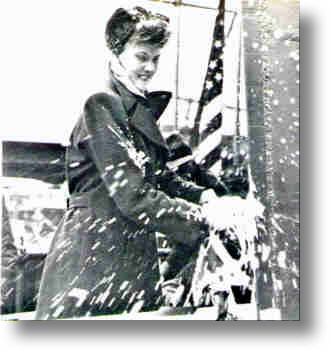 Miss Cecelia Swenson, daughter of Lyman K. Swenson, christens the USS Lyman K. Swenson DD729. According to Lars Anderson, Cecilia's son and Lyman K. Swenson's grandson, his mother had the bottle remains in a presentation box and decommissioning flag in her possession until she passed away on January 14, 2014. The USS Lyman K. Swenson slides down the ways on February 12, 1944. Bill Seagraves, Radioman School, 1943. Courtesy of Bill Seagraves (LKS 1944-46 RM3). 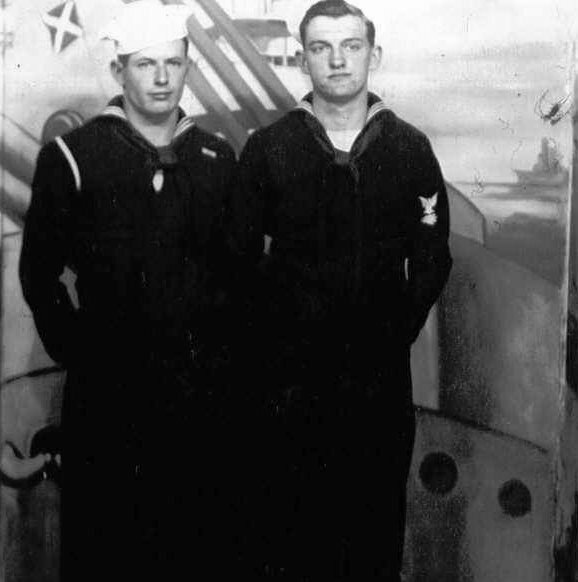 Bill Seagraves (r) and Melvin Mahaffey (LKS 1944-46) in Boston in 1944 just prior to commissioning. Courtesy of Bill Seagraves (1944-46 RM3).